Look at all the activity blooming in Affiliateland this spring! The Heinz History Center hosts a talk and tasting with National Museum of American History curator Paula Johnson on Making Wine at Home as a complement to their current exhibition on Prohibition, in Pittsburgh, 5.6.18. The Mercer Museum will open Racing: A Need for Speed exhibition featuring 7 artifact loans from the National Museum of American History, in Doylestown, 5.12.18. A new exhibition at the Center for Jewish History in New York City. The Tsongas Industrial History Center will host Teacher Creativity Studios: Asian Pacific American Cultural Presence in the Classroom workshops in collaboration with the Smithsonian Center for Learning and Digital Access on the Lowell National Historical Park site in Lowell, 5.12.18. The Phillip and Patricia Frost Museum of Science will host ¡Descubra! Meet the Science Expert family day in collaboration with the Smithsonian Latino Center in Miami, 5.12.18. Things Come Apart an exhibition organized by the Smithsonian Institution Traveling Exhibition Service opens at the South Florida Museum in Bradenton, 5.26.18. The Abbe Museum will host its inaugural Indian Market, with a film series curated by Elizabeth Weatherford, Founder and Emeritus Director of the Film and Video Center at the National Museum of the American Indian, in Bar Harbor, 5.18-20.18. Annmarie Sculpture Garden and Arts Center will open the exhibition Of a Feather: Birds in Art juried by Jennifer Daniels, landscape architect at the Smithsonian National Zoo, in Solomons, 5.25.18. The PNC Foundation announced a five-year, $1 million grant to Union Station, Kansas City, Inc. (Kansas City, MO) in support of science education that will benefit approximately 14,000 members of the community, with a focus on Head Start preschool students, children, and families. The funding, made possible through the PNC Foundation as part of its signature philanthropic early education initiative, PNC Grow Up Great, will also support the establishment of a multipurpose classroom space at Science City and touch an additional 260,000 annual visitors to the science center. The grant is PNC’s largest to date in Kansas City. Fred Beans Family of Dealerships donated $25,000 to Mercer Museum for its educational program, National History Day, through the Educational Improvement Tax Credit program. This gift will fund the Mercer’s regional program for students in Pennsylvania’s Bucks and Montgomery counties. Students choose historical topics related to an annual theme and conduct extensive primary and secondary research involving interviews and visits to libraries, archives, museums and historic sites. During the competition, they present their work in original papers, exhibits, performances and documentaries. Students who win at the regional level will go on to participate in statewide and national competitions. NASA has awarded a $750,000 grant to a research effort led by Wichita State University to develop more efficient and compact thermal and water management systems. The grant will also support engineering outreach activities at the partner universities as well as the Kansas Cosmosphere. Larimer County recently awarded 11 small grants totaling $20,646 to neighborhood and community projects designed to connect people to the outdoors and to promote education and sustainability. This includes a grant for $3,000 to the Denver Museum of Nature and Science to study mass extinction and conduct geologic fieldwork and lab analysis of the Lykins Formation at Red Mountain Open Space. 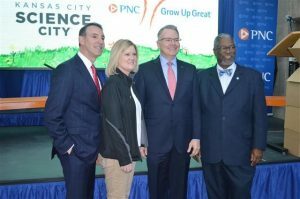 L to R: George Guastello – Union Station; Kim Herman and Dale Klose – PNC Bank; Mayor Sly James – Kansas City, Missouri. Project Description: The continued development and completion of a single, searchable public database for the Arizona State Museum‘s ethnographic and archaeological collections, which document 13,000 years of cultural heritage in the southwestern United States and northern Mexico. The database, which contains more than 360,000 entries, will include links to archival records of original excavation notes and reports. Project Description: A two-day intensive training seminar followed by two four-week discussion programs for veterans in the Miami, Florida, area. Project Description: Research and writing for a book on the emerging technology of ballooning in 18th-century England and its impact on literature and the techniques of omniscient narration. Project Title: Access to Native American Collections at the Abbe Museum Project Description: The Abbe Museum holds 70,000 objects documenting the 12,000 year history of the five Wabanaki Nation tribes that inhabit northern New England, Maritime Canada, and Quebec. The project will develop a pilot program to work with local tribal leaders to digitize these artifacts, collect information about their history, and share the collections with the public in a way that respects tribal customs. Project Description: Cataloging, digitization, and creation of access to the archaeological collections connected to the early colonists of Plimoth Plantation. The project encompasses field notes, plans, drawings, and photos associated with the excavations of four key sites. Materials will be made accessible to the public, teachers, students, and scholars via an online database and finding aids. NEH on the Road is a traveling exhibition program presented in partnership with the National Endowment for the Humanities and Mid-America Arts Alliance, to strengthen communities and improve lives through extraordinary cultural experiences. After 13 years, Devon Akmon will leave his post as director of the Arab American National Museum (Dearborn). Akmon’s last day is May 31. 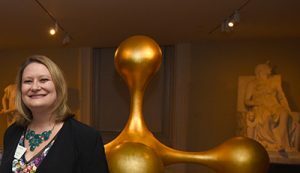 A national search is underway to select the next leader of the museum, the first and only of its kind focused on Arab-American history and culture. 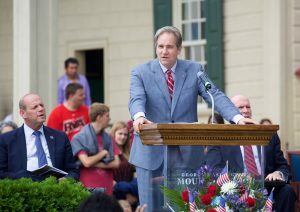 Dr. Doug Bradburn, new president and CEO of George Washington’s Mount Vernon. 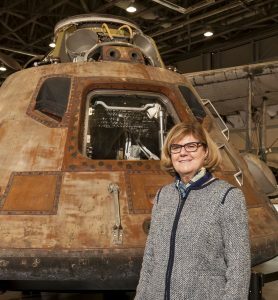 The Pacific Aviation Museum Board of Directors named Elissa Lines new Executive Director for the museum. 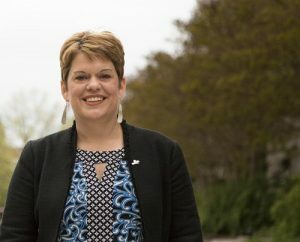 Lines, who joined the Museum in 2013, previously served as the executive director of development at the museum. The Mount Vernon Ladies’ Association announced the selection of its current library director, Dr. Doug Bradburn, to serve as the new president and chief executive officer of George Washington’s Mount Vernon.